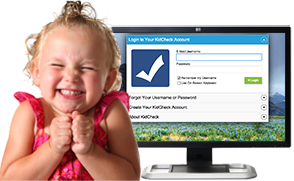 A personal online demo is a great way for organizations to learn more about KidCheck’s secure children’s check-in and experience the benefits first hand. Fill out the form below, we’ll call you shortly to schedule your demo for a date and time that’s convenient for you. For the demo, we’ll connect with you via telephone and screen sharing. Parent Sign Up: Parents or workers, click here to create your personal KidCheck account (this demo is intended for organizations).